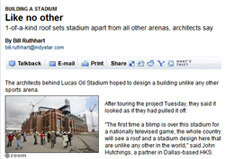 The Indianapolis Star today updated readers on the progress of the currently-under-construction Lucas Oil Stadium which will be the future home of the Drum Corps International World Championships starting in 2008. 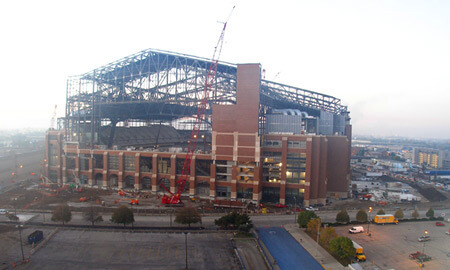 Architects report the stadium is approximately 65 percent complete. The World Championships are scheduled to be the very first set of events to be held in the $700 million stadium starting Aug. 7. Read the article on IndyStar.com. Learn more about the 2008 World Championships.